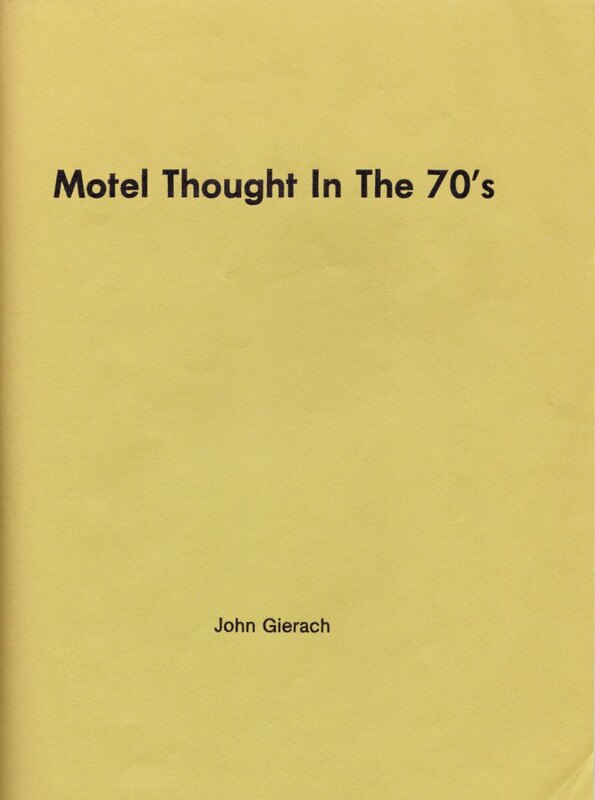 I have finally put my hands on a copy of Gierach’s most elusive title, Motel Thought in the 70’s. This book of poetry was self-published and self-printed by him in his living room. It is devoid of any decoration or illustration, and is also without copyright or Library of Congress info (he owns the copyright to his own work, of course). This is in contrast to his second work, Signs of Life, which in comparison is executed much more professionally. The book is 8 ½ by 11 printed on plain-paper size sheets and contains 16 poems. The cover is mustard brown and has the title in block letter and his name in same font, smaller size. A few of the poems are titled but most are not. Exactly two poems contain a line which mention fishing: “wilderness fishing example” and “fishing is over”. Most of the content reveals the struggles of one man’s life: the weather (lots of rain), employment, coffee, cigarettes mostly. After reading it the first time I literally wondered if he was actually living in a motel while writing it. Clearly I am not a critic of poetry, but I felt a sense of desperation, of someone trying to sort out the cards he was dealt. I’m not quite sure how many copies exist, but I do know it is nearly impossible to find a copy in the open market. I had all but given up finding one until I cold called the owner of the only extant copy I know of, Mike Clark, the famed cane rod builder in Lyons, CO and one of Gierach’s friends. Mike’s website listed it along with all of Gierach’s work for sale – clearly a website long overdue for an update. Kathy (Mike’s partner) explained it is not for sale and even informed me that John does not promote his early poetry because it is not “who he is now”. But to me that is exactly the point- it is who he was and it provides a unique view into his past and it shaped who he is now. I tried to squirm my way into ‘borrowing’ the copy in order to make a photocopy or scan of the contents, and she all but called the cops on me for copyright infringement. We parted ways amicably and I was able to firm a difficult negotiation from them: the copy of Motel Thought in the 70’s in exchange for a 7’ Granger Registered (which is the only rod size missing in Clark’s extensive Granger collection). After doing a few minutes of research I realized they would be getting the better end of that deal. The conversation sparked renewed interest and I found another copy through an academic channel. But this copy was also non-circulating. In response I reinforced my quest with the help of a resourceful librarian who facilitated an Inter-Library Loan transaction, albeit only temporarily. I now have the title for a very limited time and am enjoying absorbing it. Let me know if any of you are interested in reading any of the poems themselves. Chris Newton’s The Trout’s Tale is now available from Medlar Press. The Douglas M. and Helena McElwain Milne Angling Collection – Milne Special Collections – University of New Hampshire Library. Letters of Note: The end of the world of books. The Rusty Spinner: History of the Orvis C.F.O.. Your gear rocks, and you don’t need to hear it from me to validate this. Personally, I use your inner and outerwear with the same vigor a 5-year-old sports a Superman cape. But the New for Fall 2013 line-up leaves something to be desired. Enough with the T-shirts and socks, already. New for Fall 2013! – SHOP. 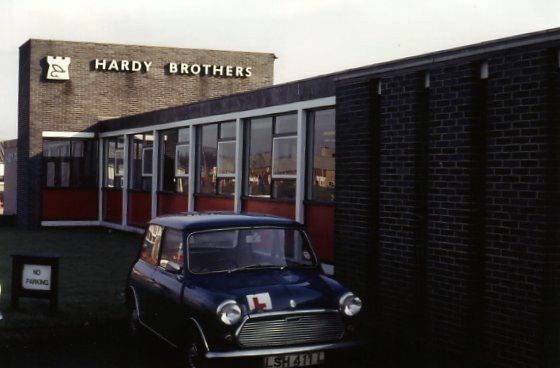 The Classic Fly Rod Forum • Hardy Factory Tour 1980. 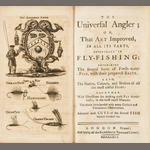 Bonhams 1793 : The Angling Library of John Simpson: Part One. The Whitefish Press: Fishing for History Magazine.